Is Uninsured and Underinsured Motorist Coverage Worth the Cost? Uninsured and underinsured motorists are a serious problem in the United States and California has one of the highest rates of drivers without insurance coverage. According to a 2017 study conducted by the Insurance Research Council (IRC), approximately 13 percent of American drivers—or one in eight—lack the minimum car insurance required in their state. In California, the problem is even worse; the IRC estimates that 15.2 percent of drivers in the Golden State don't have sufficient insurance coverage. Along with the human cost of such accidents, crashes involving uninsured motorists take a significant economic toll on the residents of the United States. It is estimated, that claims totaling more than $2.6 billion per year are filed for uninsured or underinsured motorist claims. How Can Uninsured and Underinsured Motorist Coverage Help Me? Car accidents can result in severe injuries, property damages, death, and other losses. When the person who causes the crash doesn't have insurance, innocent victims are left holding the bag for the financial consequences of someone else's negligence. 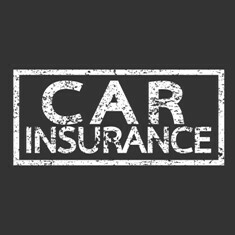 Carrying uninsured motorist coverage (UM Coverage) is the best way for California drivers to protect themselves from an accident with an uninsured or underinsured motorist. This optional insurance covers bodily injury and/or property damage incurred in an accident caused by a driver who does not have liability insurance. UM Coverage is also applicable when an at fault driver has insurance, but the amount of insurance available is insufficient to compensate for all the injuries suffered. If the injured victim has UM Coverage in an amount greater than the liability insurance of the other driver, the difference may be available to help pay for the damages suffered. If the injuries from the accident have a full monetary value of $150,000.00, we want to secure that amount or an amount as close to that sum as possible. If there is no liability insurance, nor uninsured motorist coverage, there is no insurance payment and possibly no recovery. If there is minimal liability insurance, for example, $15,000.00, and no uninsured motorist coverage, the insurance payment would be limited to $15,000.00. But if there is $100,000 an uninsured motorist coverage policy in place, there is an additional $85,000 available to pay for the damages. The cost for this type of insurance is minimal when compared to the benefit it provides when needed. If you do not have this type of insurance purchase it prior to when you may need it. Many Californians purchase the state-mandated minimum insurance coverage and assume they are protected, only later to find out there is not enough insurance coverage. Don't let this happen to you. Don't wait until you've been injured or suffered other losses to review your car insurance coverage. If you were involved in a crash or have questions about your car insurance coverage, our knowledgeable California car accident attorneys and paralegals can help. Contact the Inland Empire Law Group today at (888) 694-3529 to request a free initial consultation.